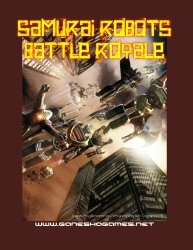 This is a bundle purchase of the Mighty Monsters kaiju rules and the Samurai Robots Battle Royale mecha rules. You save 1 dollar per product when purchasing this bundle. See individual descriptions of the games in the Giant Monsters and Robots file category.